Queensland is our home too. 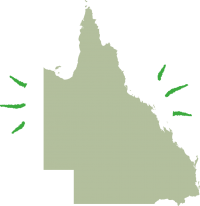 It’s where we live and work, with 100% of our Customer Solutions Team in Townsville and Rockhampton. So every time you call us, you’re guaranteed 100% local service. From the Torres Strait in the north, to Stanthorpe in the south and Mount Isa in the west, we’re here to help you get the most out of your energy. We’re an active part of our regional communities by creating local employment and supporting each other like family. For almost two decades, we’ve helped our customers and employees to raise over $13 million for the Royal Flying Doctor Service in Queensland to bring vital health services to rural and remote Queenslanders. Find out how you can donate to the RFDS. We’re also one of the biggest buyers of renewable energy generated in Queensland, which stimulates the economy, generates local jobs and provides green energy options for regional Queenslanders. Our renewable energy sources include wind farms on Thursday Island and near Ravenshoe and Atherton, hydro stations at Paradise Dam and Tinaroo Dam, and biomass plants at sugar mills.